Image of a caravan in a valley. 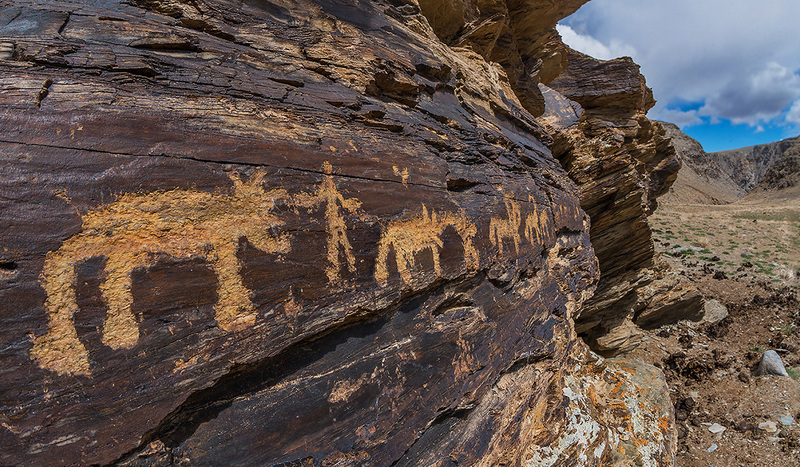 During the Bronze Age (around 2000-1000 BC), when these petroglyphs were probably made, a road uniting two hollows ran here. It was actively used by nomads to haul cattle. Probably this scene had no inner meaning, but its aim was to guide the ancient Altai people to the most convenient route. 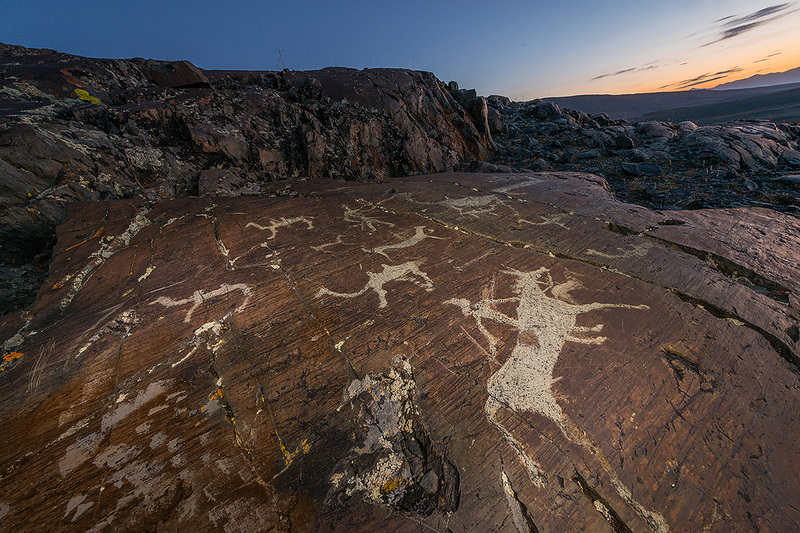 Mountain passes were marked not only in people’s memory, but by ancient stelas, heaps of stones, and numerous petroglyphs. Image on a stone depicting a man’s hand from the Bronze Age (around 1500 BC). A rare image for Altai. 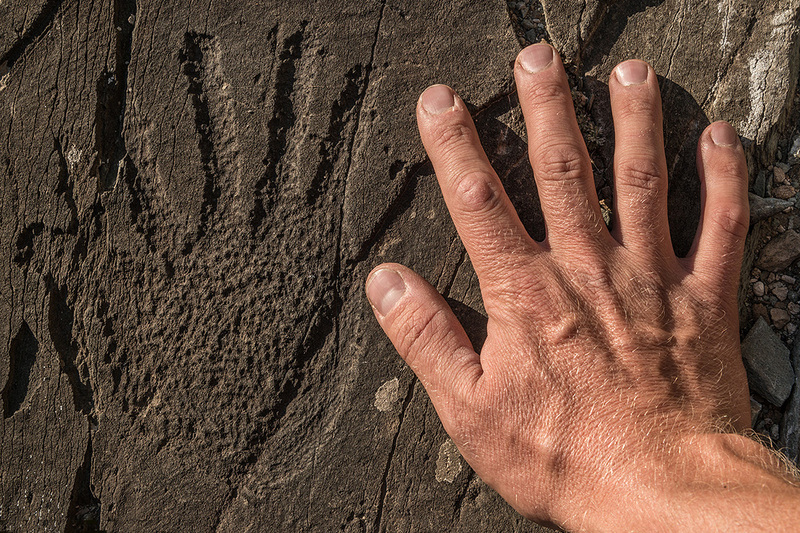 Among the thousands of petroglyphs here, there are only two images of a hand. 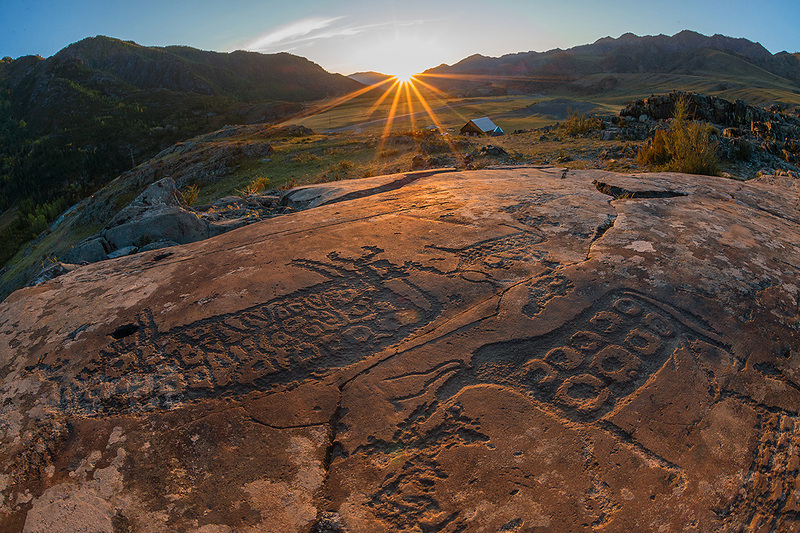 Altai is the cradle of many ancient peoples of Central Asia. 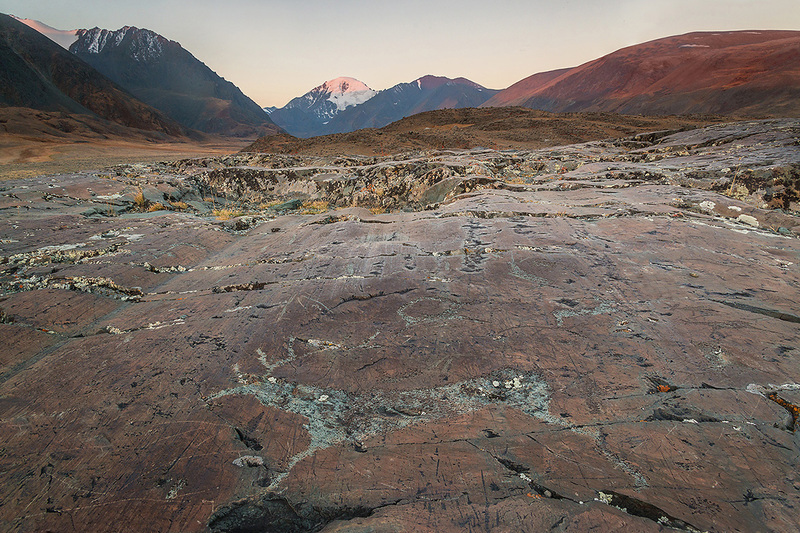 The Altai Mountains were an insurmountable obstacle for nomads heading to the East. 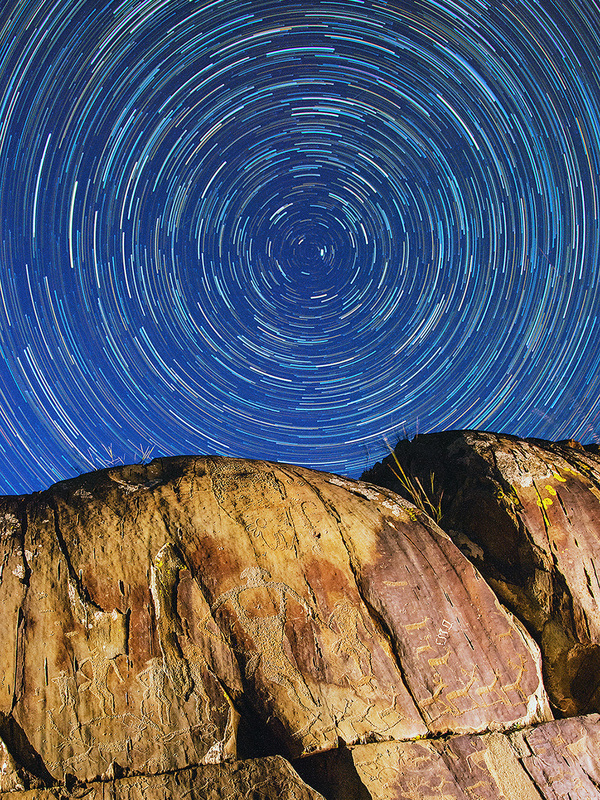 / Images of sacral bulls with astrological symbols. Bronze Age (2000-1500 BC). But the experience of previous generations enabled them to find their way in the harsh conditions. / A herd of deer. A Bronze Age fragment of the central composition at the Kalbac-tash sanctuary. 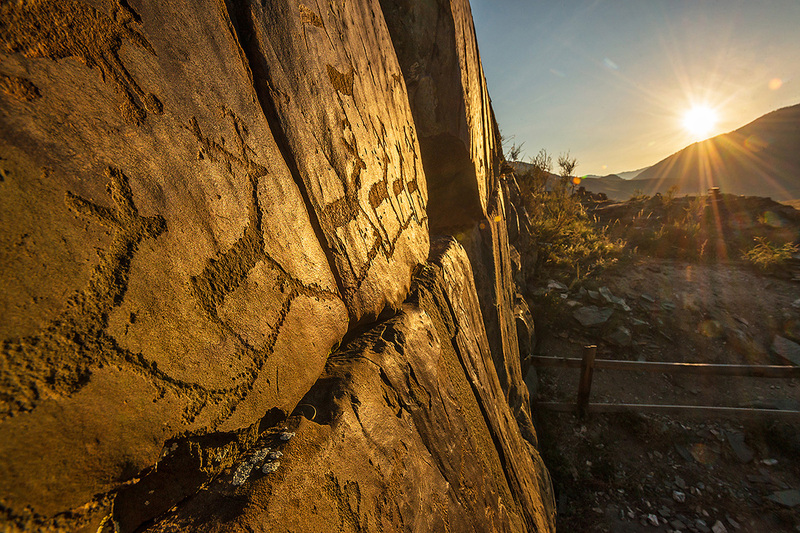 Mountain passes were marked not only in people’s memory, but by ancient stelas, heaps of stones, and numerous petroglyphs. / A camel caravan. Bronze Age. Situated near the Elangash river. 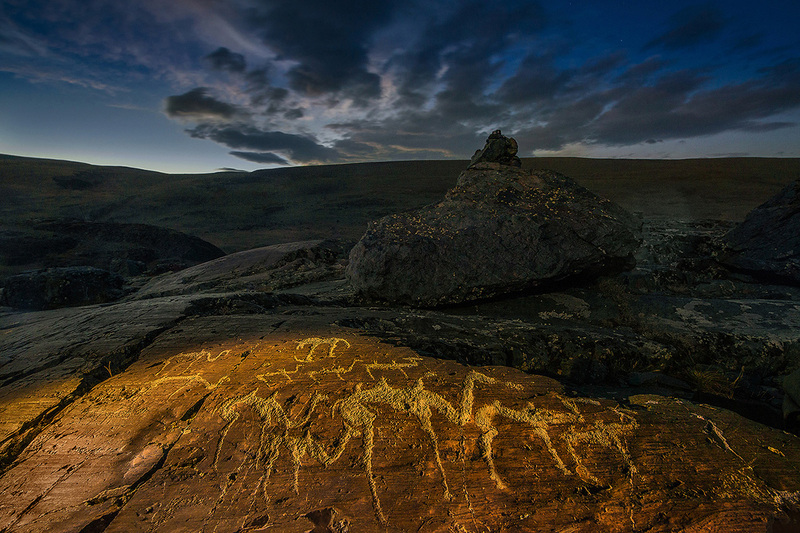 More than 200 petroglyph sites have been discovered in Altai. / A multi-figured image: rider, camel teamster, and hoofed animals. Near the Elangash river. The Chuysky Trakt, which rambles on for about 1,000 km, starts in Novosibirsk (2,812 km from Moscow) and extends across the Altai Territory and the Altai Republic down to Russia’s border with Mongolia. On the 723th kilometer of the road, on the right shore of the Chuya river stands an ancient sanctuary called Kalbac-tash. 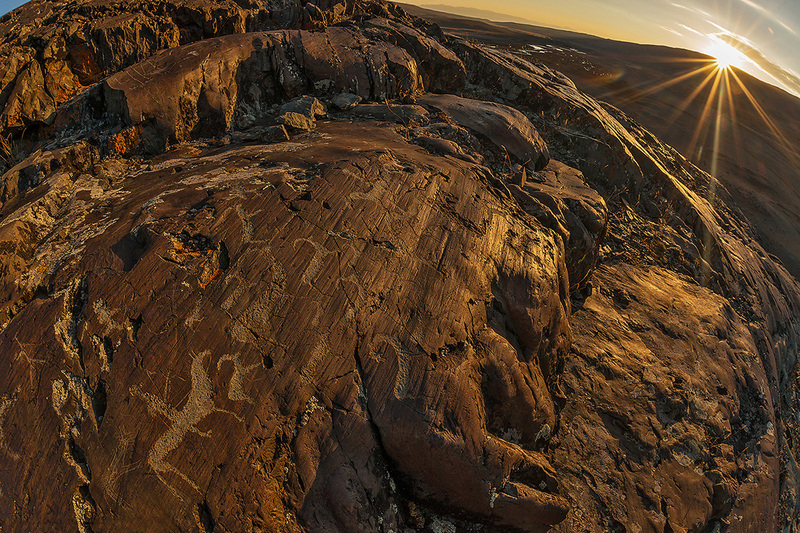 The site is adorned with petroglyphs. / Goat hunting. Near the Elangash river. A mythological animal descending from a cliff attacks people. Bronze Age. Image of a deer. Near the Elangash river.